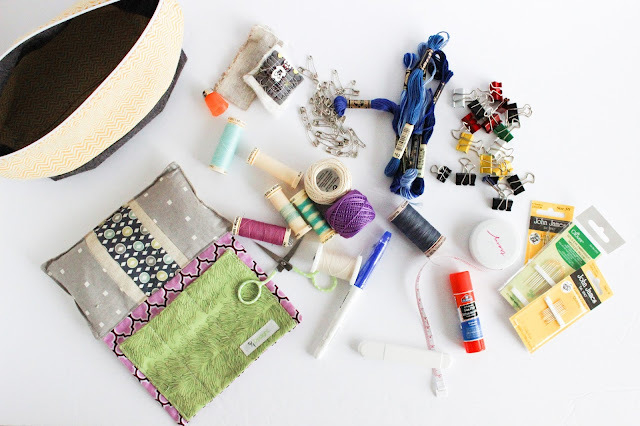 We've all seen the “what’s in my bag” series – I'm here to flip that around for us sewers and quilters by sharing what’s in my travel sewing bag!! Here’s the real deal…please no judging!! I can fit quite a bit in that little pouch!! In all fairness, I've actually been working on a several different projects, which is why you see both pins (from my basted quilts) and paper clips (from my binding). That also explains all the different thread I'm carrying around (cotton, hand quilting cotton, pearl cotton and embroidery). The glue stick I just tossed in there from my paper piecing projects. It’s a little bit of the shoe maker’s syndrome going on over here! 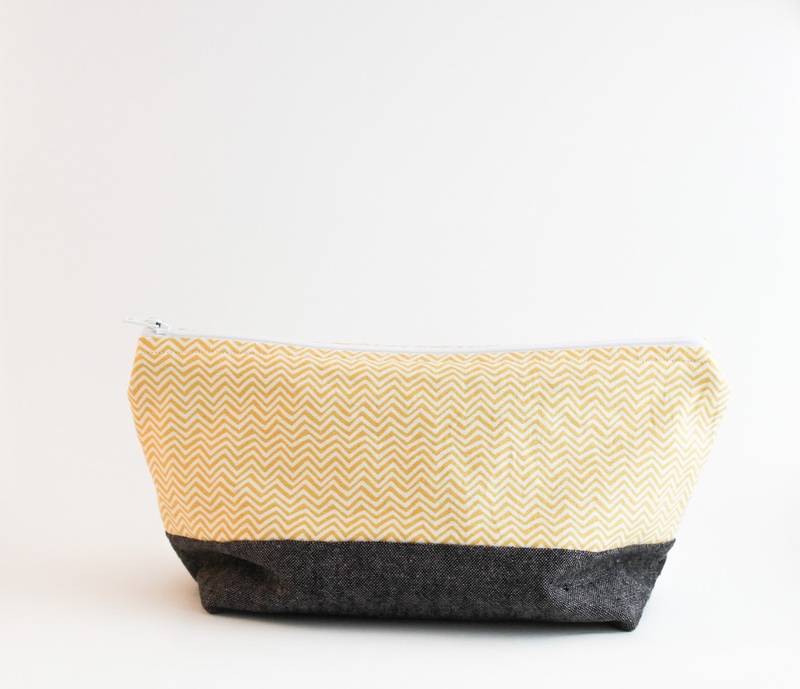 I've been using a failed make-up bag as my travel sewing bag, but I've been dreaming of having a better solution for carrying my needles other than sticking them in scrap pieces of cloth. One of these days I'm going to be rummaging in there only to jab myself with the needles. I really wished mine looked so neat! 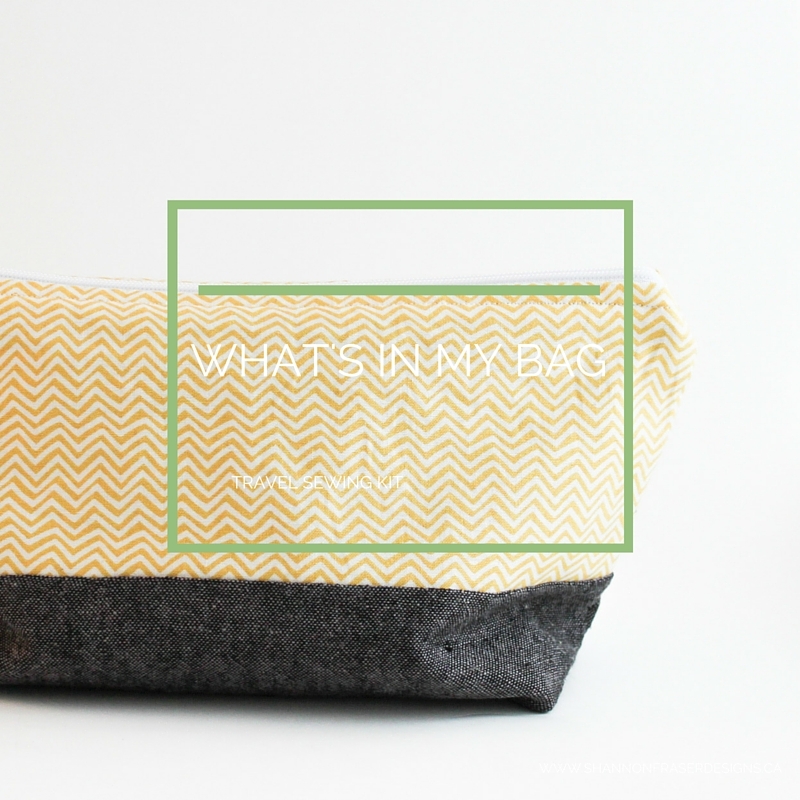 Mine is an old wash bag, spilling out pins and a really big knot of threads!!! I need to have a really big tidy up of all sewing stuff, as the rest of my stash looks pretty similar. After a road trip, my bag has lots of bits of thread too, Chloé! Tidying it up always feels great though :) Good luck with your cleanout and if you need a new bag I have several in my Etsy shop!